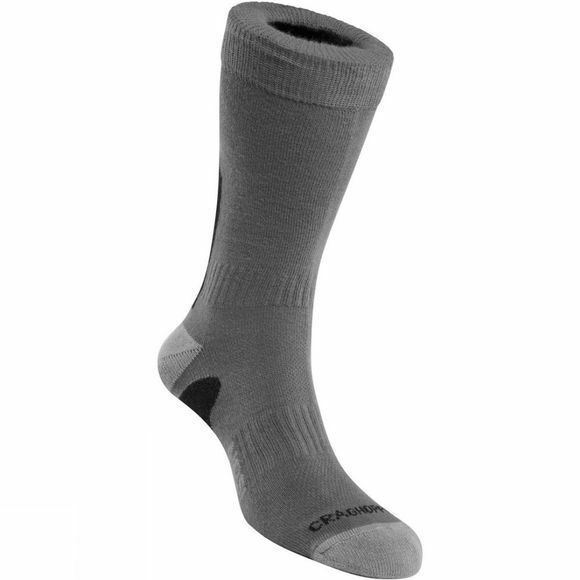 Ergonomically designed to deliver cushioned protection where it counts, Craghoppers' breathable Men's NosiLife Adventure Sock incorporates NosiLife insect repellence for permanent protection against bites. The sock also features cushioning at the sole, heel, toe and lower calf with mid-step support bands for comfort. An easy-care sock for easy wear.